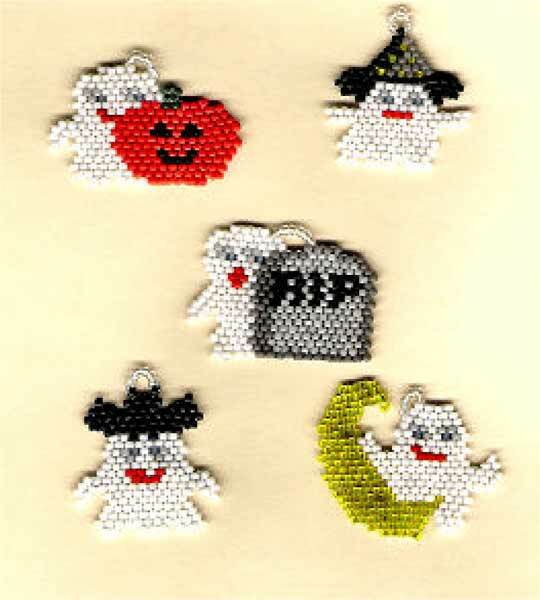 Use these little ghosties for earrings, charms, ornaments or Halloween treats. Pattern includes detailed color charts and written instructions, suggested beads and suggested dangles. Basic stitch instructions NOT included.